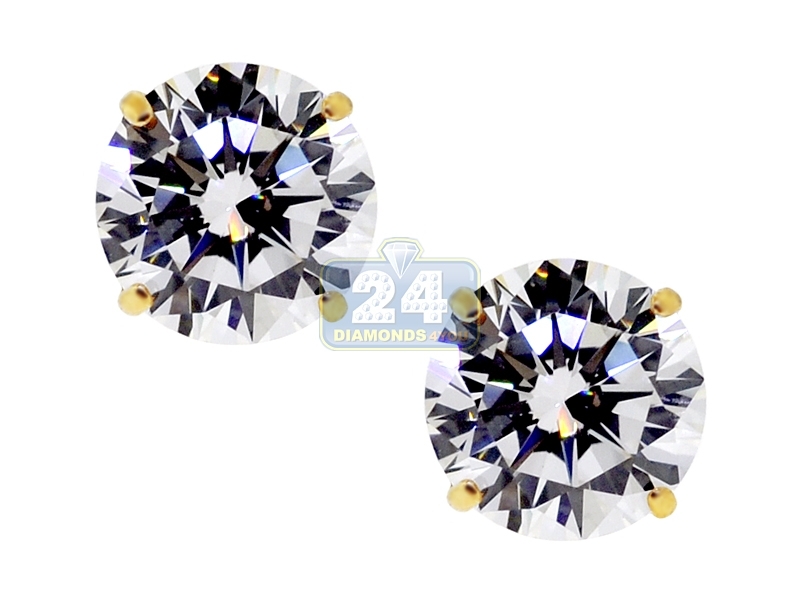 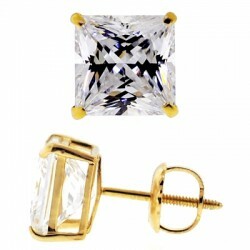 Featuring two highest quality 3 mm cubic zirconia that equivalent to 0.20 carat, these stud earrings sparkle like real diamond piece of jewelry! 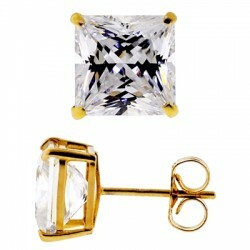 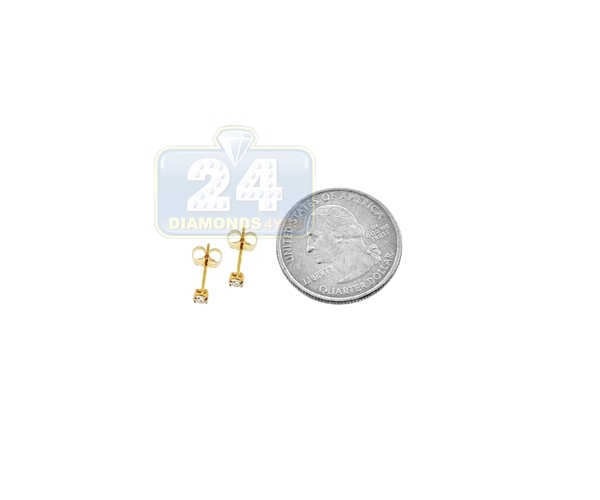 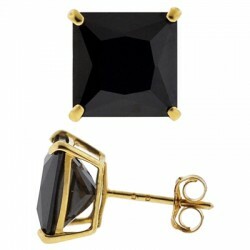 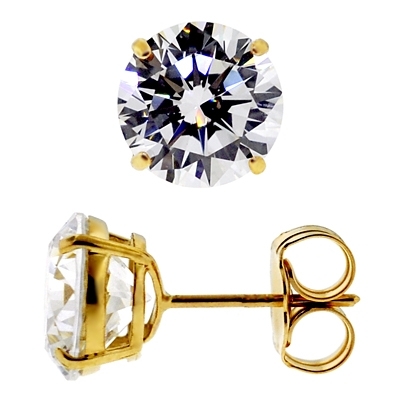 Four-prong setting is produced from warm 14k yellow gold, and secured with push back clasp. 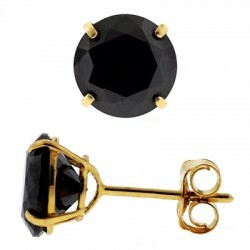 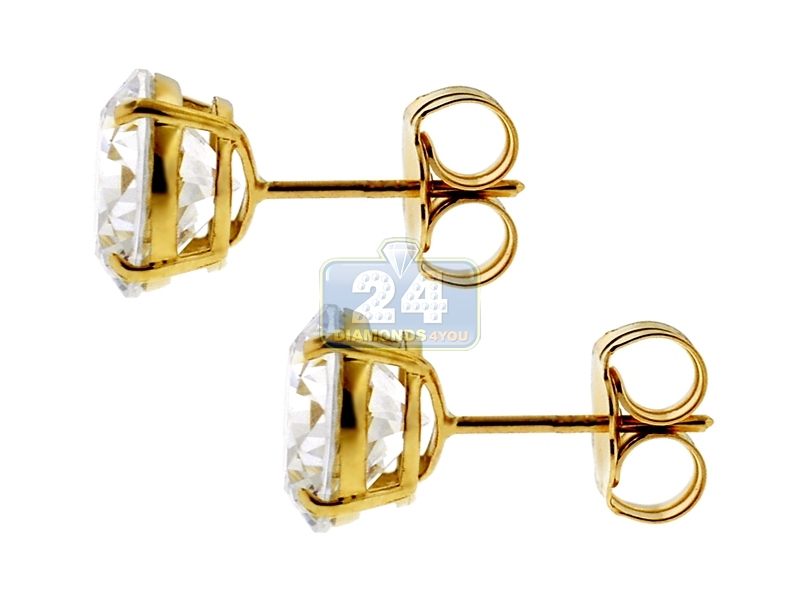 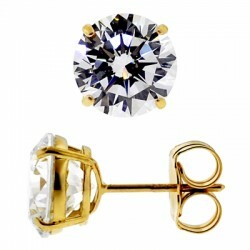 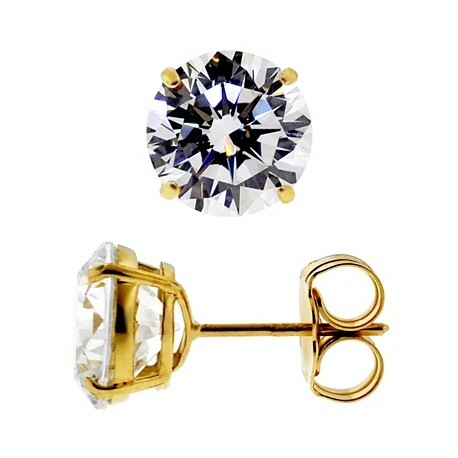 This pair of small studs is perfect for a kid or a sophisticated lady.